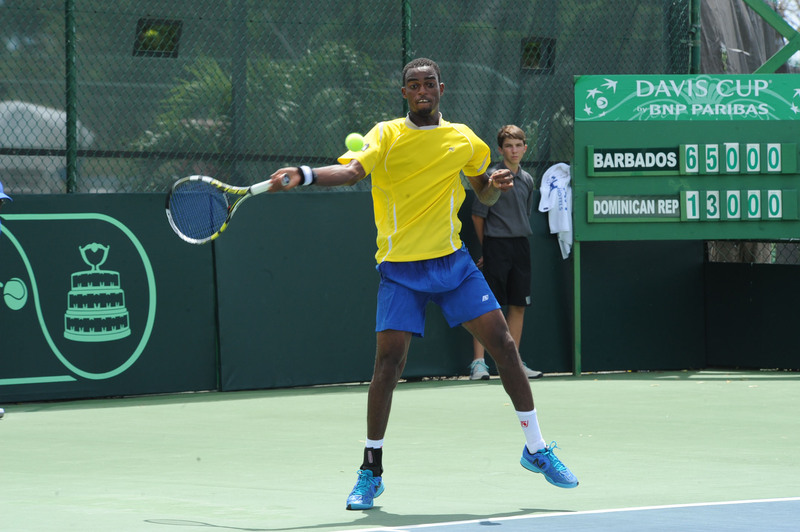 Team Barbados Rio 2016: Darian King (Tennis) – Barbados Olympic Association Inc.
Darian King started playing tennis at the age of 8 where he won the Nemwill inter school mini tennis tournament and then joined the Ocean View tennis club. His first major International Tournament was the ITF Barbados under 14 event in Barbados which he made it to the round of 16 at the age of 10. He is internationally recognized as the island’s most promising and highest ranked professional tennis player. His participation in (3) three Junior International Grand Slams – US Open, French Open, Wimbledon and Youth Olympics, has earned him the 47th Junior ITF world and 161st ATP ranked professional player. He has competed in the Australian Open, Wimbledon and the US Open as a professional and has created a record each time by becoming the first tennis player to represent Barbados at these Grand Slam events. In July 2016, he created history once again by becoming the first player from Barbados to win an ATP event. He did that in Cali, Colombia after defeating world #72 Victor Estrella and a few weeks later followed that up with victory in Binghampton, New York. For the first time in 25 years, this promising 24 year old had the prestigious opportunity to lead Barbados into the Group one of the Davis Cup. He currently has 12 ITF professional, 1 ATP title and 14 double titles in the USA, Canada, Mexico and Europe under his belt. Darian King is the first Barbadian tennis player to play at the Olympic Games. His father Wesley King is his role model because of his work ethic and in tennis his favourite player to watch is Gael Monfils because of his exciting play. Darian does not have a favourite colour, he likes to listen to all types of music especially music from Mavado. His favourite movie to date is Rush Hour.